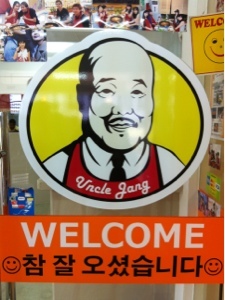 2nd visit to Uncle Jang here. I need to start this post by saying, my high school friends are a fan of Korean everything. Most of my meals with them would be Korean food. Lol! 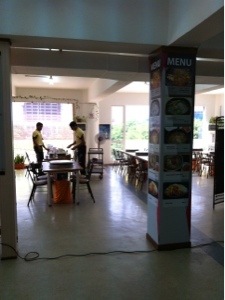 So, they found a restaurant that serves Korean food in a very different concept. 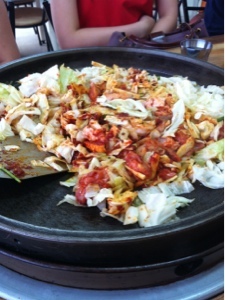 Most ppl will picture Korean food as having a BBQ area, then meat, then side dishes and kimchi... But this restaurant, has a slightly different concept. The concept of the whole restaurant is exactly how most restaurant will look in Korea (I've been there before, am not really sure, but it's conclusion drawn from my trip there) the restaurant reminds me alot of Korea. The food there is simple and nice, it basically just vegetables noodles and rice. Simple yet, preserves the "Korean" taste. I was told by my tour guide during my Korea trip that eating meat is Korea is quite a luxury. 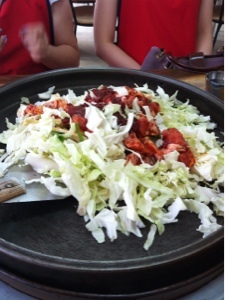 Ppl eat alot of vegetable plus rice in Korea.